TESLA Nikola (1856-1943), electrical inventor. Born Serbia. Educated at the polytechnical school at Graz and at University of Prague. Worked as telephone engineer in Prague and Paris. Conceived new type of electric motor having no commutator, as d.c. motors have, but works on principle of rotating magnetic field produced by polyphase alternating currents. Constructed prototype. Found nobody interested in Europe. Emigrated to U.S. (1884). Worked briefly and unhappily with Thomas Edison. Established own lab and obtained patents on polyphase motors, dynamos, transformers for a complete a.c. power system. Formed alliance with George Westinghouse, who bought polyphase patents for $1 million plus royalty. With Westinghouse, engaged in struggle against Edison to convince public of efficiency and safety of a.c. over d.c. Succeeded in getting a.c. accepted as the electric power system worldwide. Also with Westinghouse, lit the Chicago World’s Fair, built Niagara Falls hydro-power plant, and instal16d-i.c. systems at- Colorado silver mines, other industries. By turn of the century was lifted to celebrity status comparable to Edison’s as media promoted him along with the expanding electric power industry. Experimenting independently in Manhattan lab, developed and patented electric devices based on superior capabilities of high-potential, high-frequency currents: tesla coil, radio, high-firequency lighting, x-rays, electrotherapy. Suffered lab fire. Rebuilt, continued. 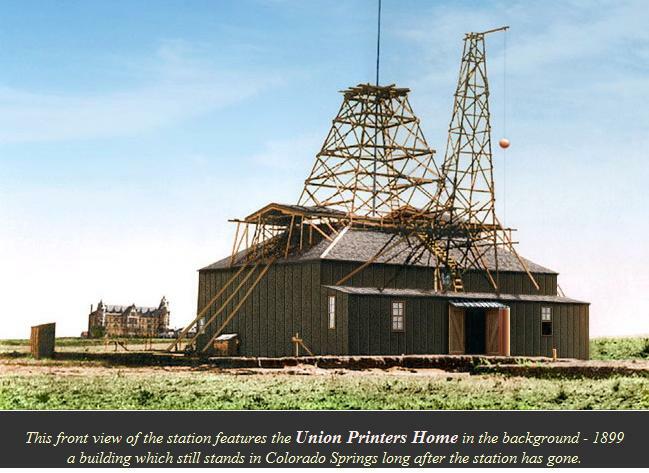 Moved lab to Colorado Springs for about one year (1899). Built huge magnifying transmitter. Experimented with wireless power, radio, earth resonance. Studied lightning. Created lightning. Returned to New York. With encouragement of financier J.P. Morgan, promoted a World System of radio broadcasting utilizing magnifying transmitters. Built huge tower for magnifying transmitter at Wardencliff, Long Island as first station in World System. Received enough from Morgan to bring station within sight of completion, then funds cut off, project collapsed. Continued to invent into the 1920’s, but flow of patents meagre compared to earlier torrent, which amounted to some 700 patents worldwide. High-frequency inventions ignored by established technology, as were disk turbine, free-energy receiver, other inventions. Shut out by media except for birthday press conferences. At these predicted microwaves, TV, beam technologies, cosmic-ray motor, interplanetary communications, and wave-interference devices that since have been named the “Tesla howizer” and the “Tesla shield.” In the 1930’s involved in wireless power projects in Quebec. Last birthday media appearance in 1940. Died privately and peacefully at 87 in New York hotel.room from no apparent cause in particular. 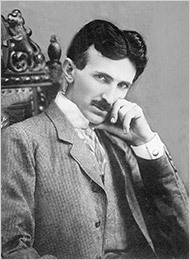 Personal papers, including copious lab notes, impounded by U.S. Govemment, surfaced many years later at a Tesla Museum in Belgrade, Yugoslavia. Of these notes, only a fragment, Colorado Springs Notes, has been published by the Museum. Copyright © 1989 by George Trinkaus. All rights reserved. My Inventions, Tesla’s autobiography (widely reprinted). Enigma Fantastique by W. Gordon Allen, philosophic study of Tesla and Rudolph Steiner (Health Research, P.O. Box 70, Mokelumne Hill, CA 95245). Prodigal Genius by John O’Neill, the 1949 biography (Omni Publications). Lightning In his Hands by Inez Hunt and Wanetta Draper, 1964 biography (21st Century Books)). Tesia: Man Out of Time by Margaret Cheney, 1981 biography (McGraw-Hill, dist. by Lindsay Publications, P.O. Box 12, Bradley, IL 60915).